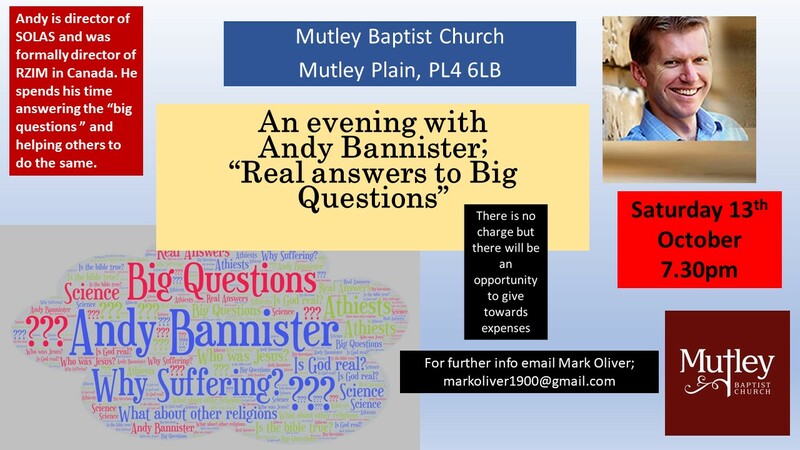 Andy will help Christians by showing there is a way of answering the tough questions they may face and will give an opportunity to those exploring faith to think through the questions they may have about Christianity. Come and hear him at the following events. 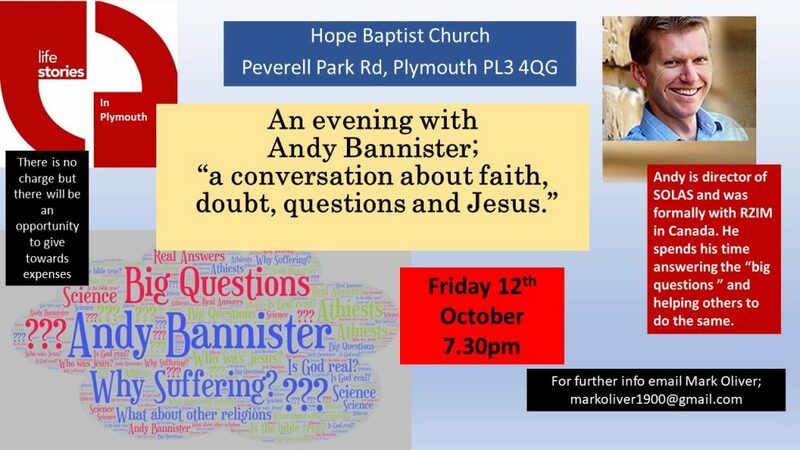 Wednesday 10th-Plymstock Chapel-7.30pm-Evangelism training- Gaining confidence to answer the tough questions. 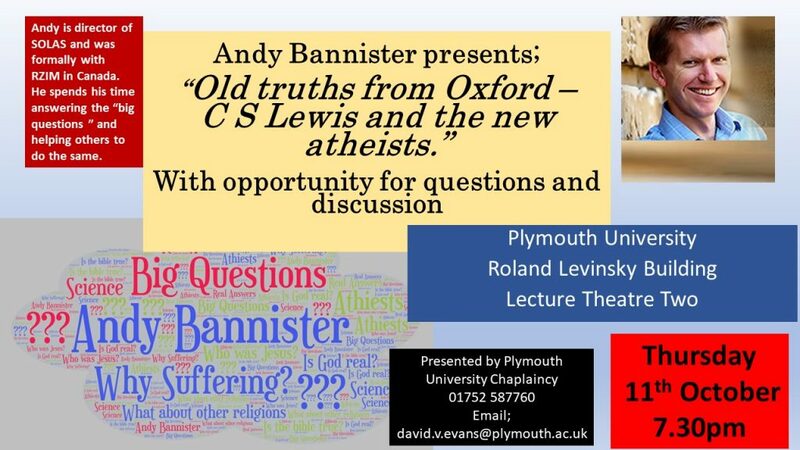 Old truths from Oxford: C S Lewis and the New atheists. 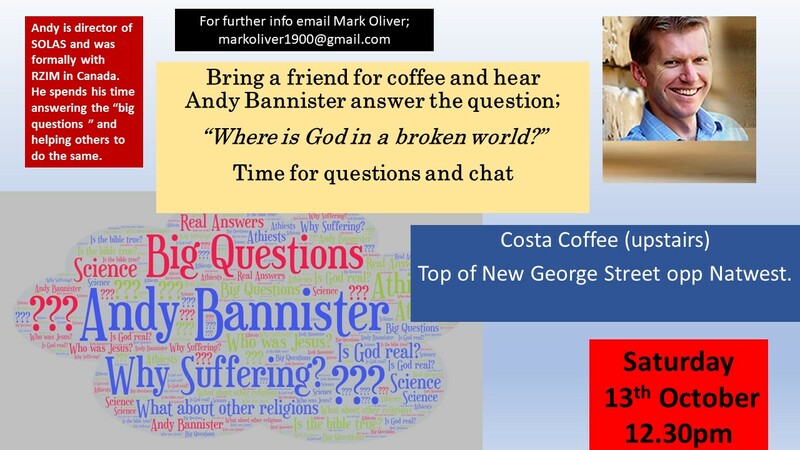 “An evening with Andy Bannister, a conversation about faith, doubt, questions and Jesus”. 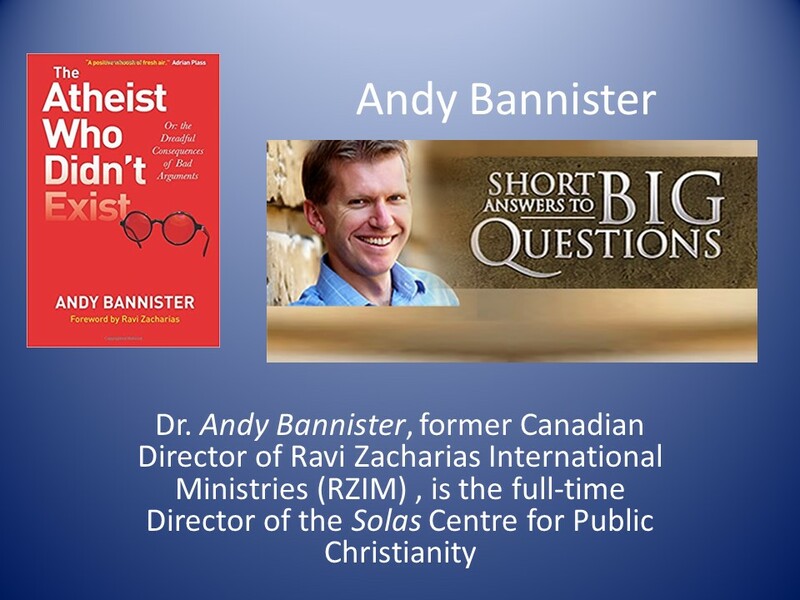 “Real answers to big questions” (lots of Q and A).